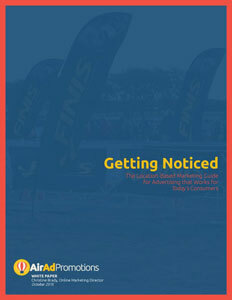 Stand out, get noticed and convert customers. 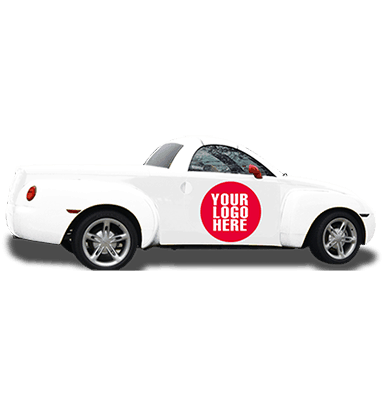 We created the Adversail™ with one goal in mind – to attract attention and bring customers in to your location 24 hours a day, 7 days a week. 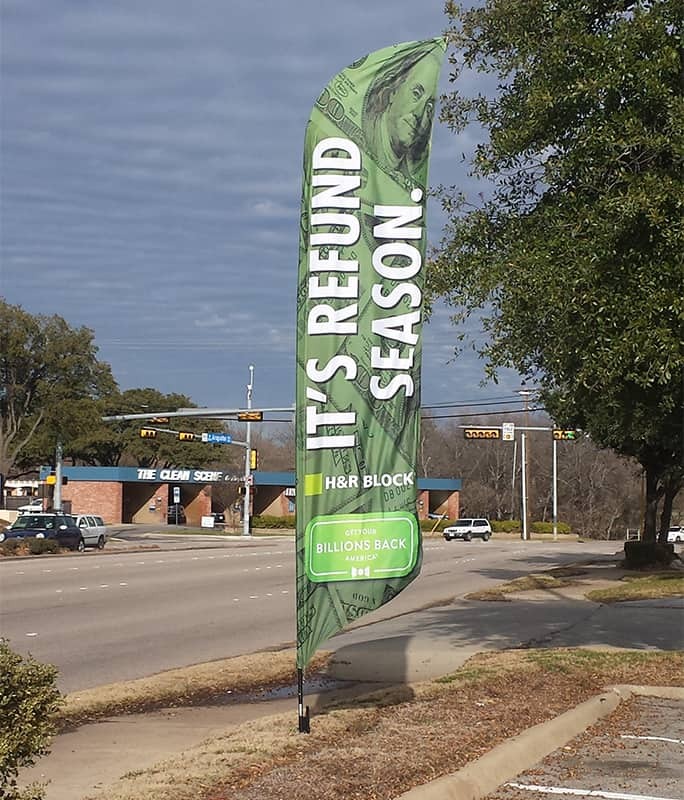 The sleek design of the Adversail™, or custom advertising flag, puts your business in the best converting hotspot ever – right at eye level of your potential customers. You can’t miss it and, better yet, they can’t miss you. 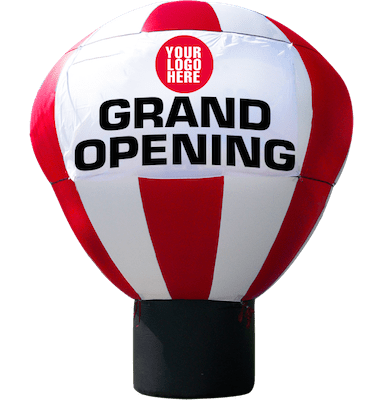 The innovative design of an Adversail™ means your message is literally catching your potential customer’s eye and enticing them to ‘follow the flag’. The unique, curved angle means your Adversail™ is resistant to wind and other harsh weather elements. 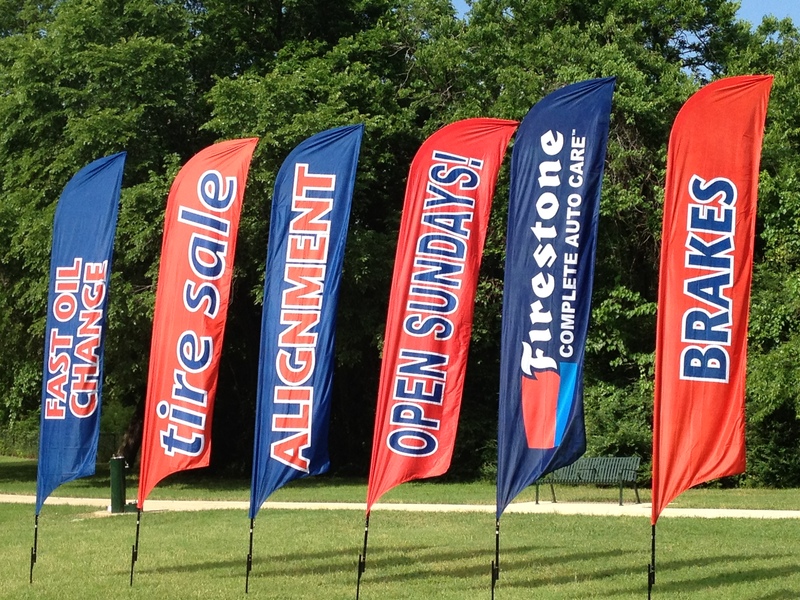 Plus each swooper flag is custom designed to increase your sales! That’s why they are known as THE Premier Flag for Retailers. 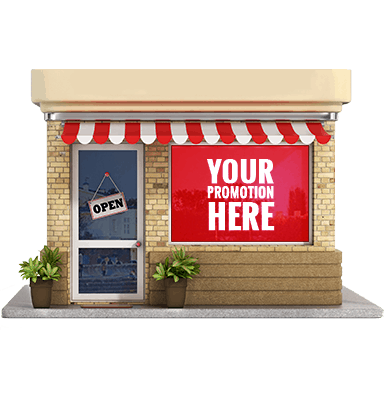 Make a good impression, promote your product or brand AND boost sales with an Adversail™ flag designed to bring people in the front door of your business. 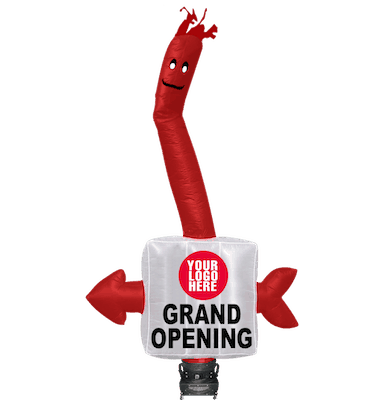 With sizes ranging from 8 – 15 ft. tall and 2 – 3 ft. wide, they’re the perfect visual to add to your attention grabbing mix. Huge, impactful and with an undeniable presence, they put the ‘Wow’ in ‘Wow-factor’. Need something in a specific size or shape? 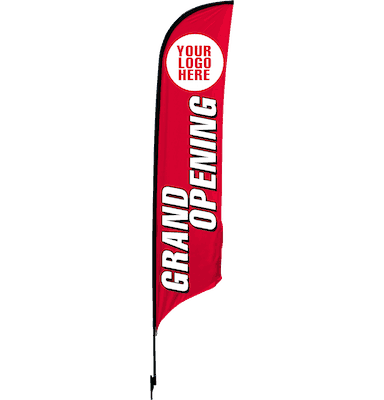 Available in feather, tear-drop, rectangular, fan, or right angle shapes, we have the advertising flags to fit your event. 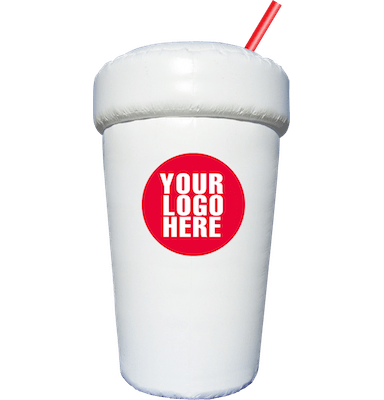 And with printing available on either one or both sides, you’ll have the perfect attention grabber for your event or location. 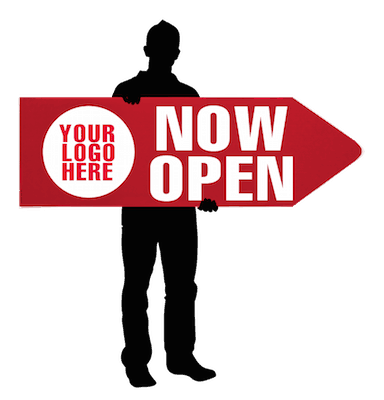 From the simplest message to the most intricate logo or design, your flag is as one-of-a-kind as your business. 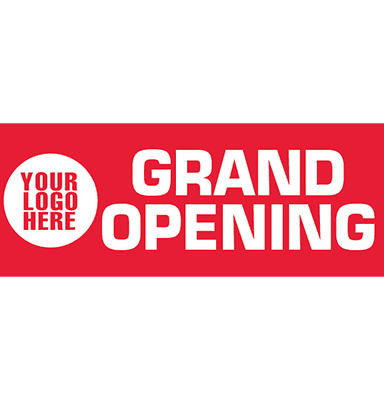 Showing off your latest product release or announcing your grand opening is even more impressive when you blast it on your custom made Adversail™ flag. 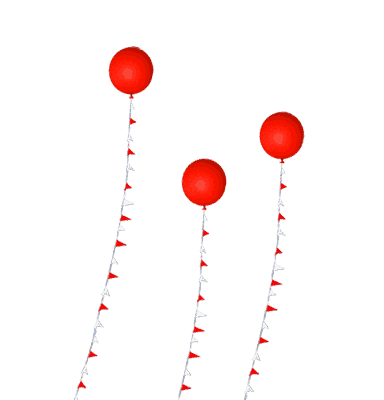 Regardless of the size, each Adversail™ is grounded with a stake that is 6 inches longer than most typical flags use. Other flags fall over, flap uncontrollably or, worst yet, tear; the Adversail™ will outlast all other flags hands down. Your message will change long before you need a new flag. Your Adversail™ will be around for a long time! And here’s why: each flag has a reinforced pocket at the top, which keeps the pole in place and prevents the top of the pole from tearing through. Once you have the basic hardware, your message can be broadcast to your market over and over again. 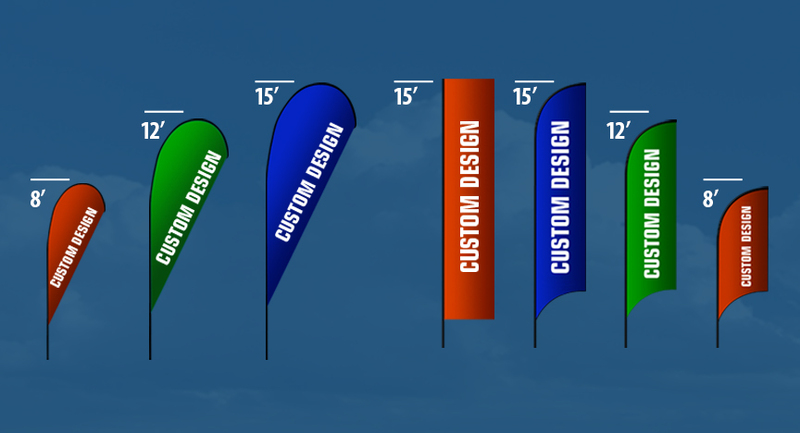 Adversail™ flags can be purchased, by the individual flag or by the thousands. They’re a great way to put your advertising dollars to work for you 24 hours a day, 7 days a week. 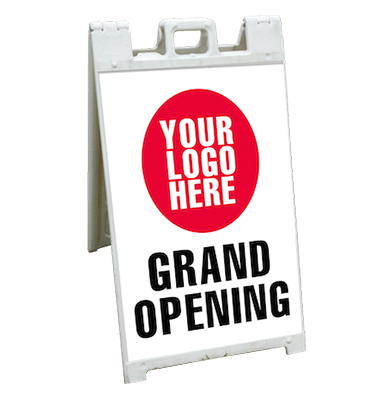 Even if you have a different message you want to promote – an Adversail™ is the inexpensive way to alter your event or promotion, quickly and easily. The artwork extends from edge to edge so that your message covers the entire flag. 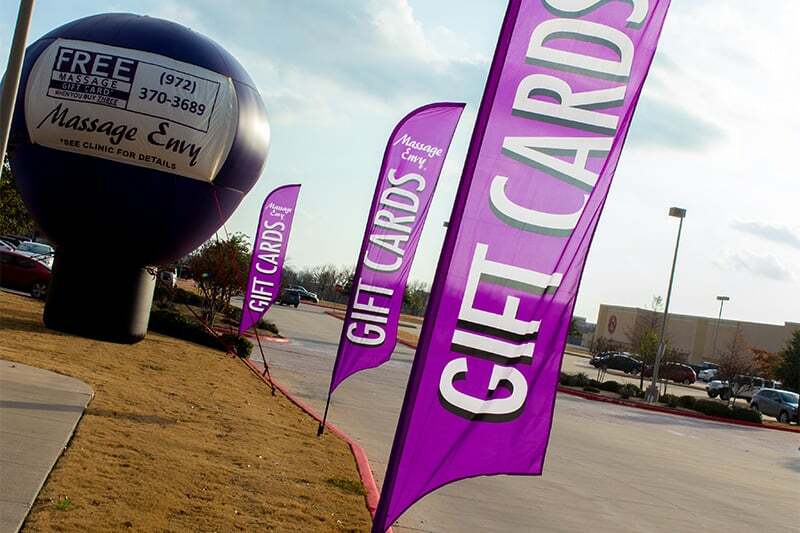 Our Adversail flags show your message prominently, on long lasting, quality material. 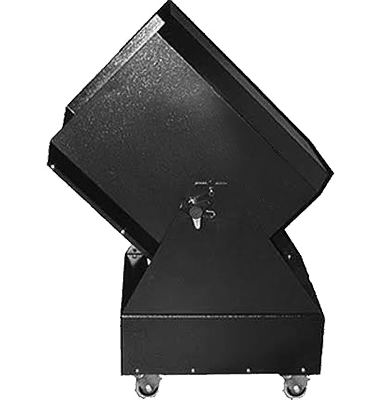 The base of the pole has a specially designed steel ball bearing that will attach to the pole receiver of the ground stake (or cross base) providing a 360 degree turning radius that will not wear down over use and time. 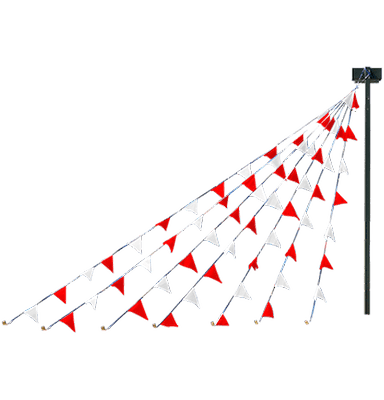 There’s a reason they’re called ‘swooper banner flags’… The top of the flag is a highly flexible but sturdy ‘whip’, attached to the top of the pole and fed through the flag sleeve; the bottom is a reinforced, easy-to-use clip that attaches the lower part to the stake or cross base, keeping the flag secure so it is visible even without wind. The dye-sublimation printing process provides +95% ink saturation through the flag fabric which helps prevent colors from fading. Setting up and installing your Adversail™ is a snap. 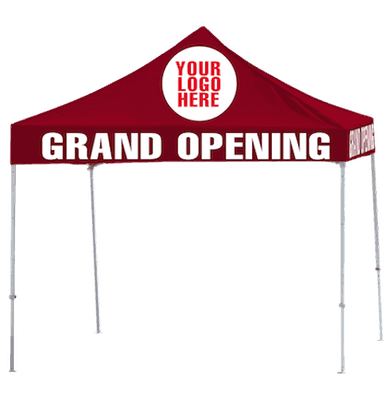 Depending on where you’re installing it, we include either ground stakes (perfect for outdoor advertising flags) or scissor stands (for indoor event flags). They arrive complete and ready for set up. No guessing about what goes where. Easy to follow instructions means that you or your staff will have it up in minutes. 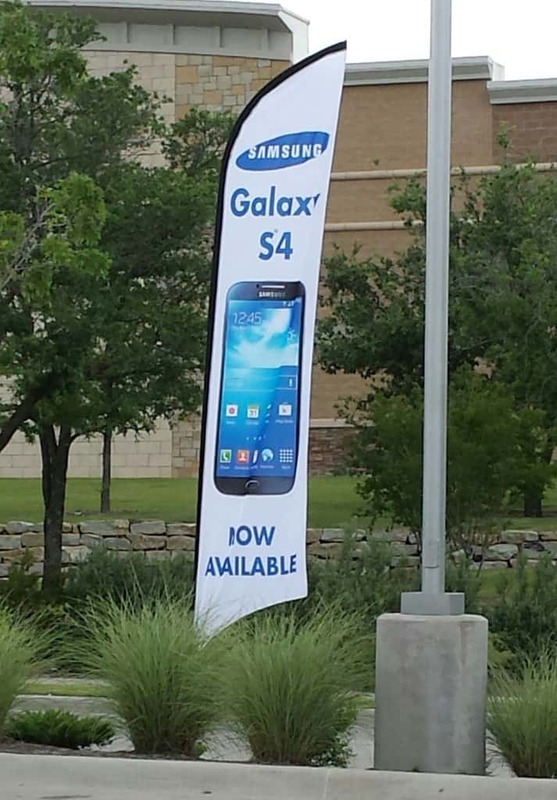 Don’t want to install your advertising banner flag? We can set them up for you! Click here to have us do all the work. Your customers move fast, make sure your message flags them down.